MANAGEMENT-WARE AUTOMATED TWEET Is an easy to use auto tweet adder software. Like Facebook,and Linkedin. Twitter is a great way to contact new people and expand your network with individuals that you have never met in "real life" or on the Internet. 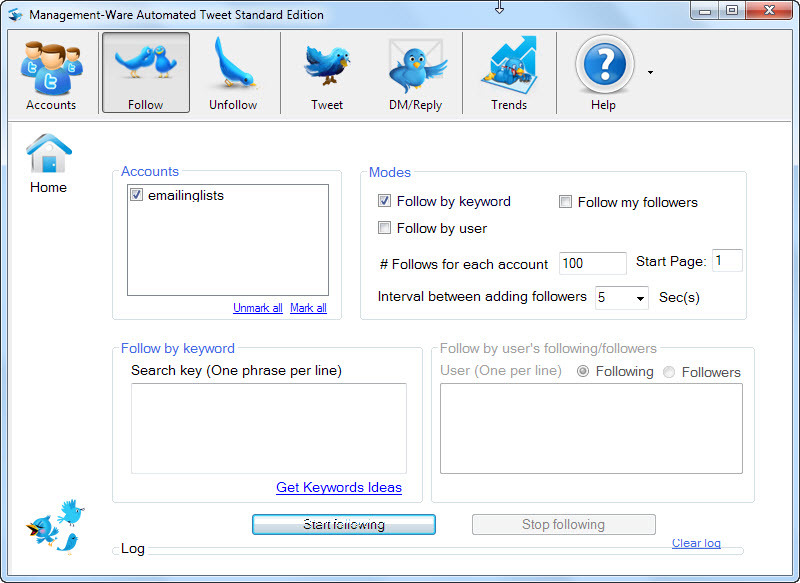 With our automated tweet adder application your will get thoursands of follow within a few days. Are you looking for AN Automate Twitter Promotion & Marketing software to promote your online business and increase your profits? Seeking ways to promote your Web presence via Twitter? Do you need an easy to use Twitter program that allows automatically getting Twitter followers and following like minded people? If so, our Twitter auto poster - Auto follower software can help you to reach your goals. Management-Ware Automated Tweet is a Twitter Marketing Application for every Twitter user. Qweas is providing links to Automated Tweet Free Edition 1.0 as a courtesy, and makes no representations regarding Automated Tweet Free Edition or any other applications or any information related thereto. Any questions, complaints or claims regarding this application Automated Tweet Free Edition 1.0 must be directed to the appropriate software vendor. You may click the publisher link of Automated Tweet Free Edition on the top of this page to get more details about the vendor.